With the disappearing audio jack in iPhone, we are moving forward to an era of wireless audio technology. 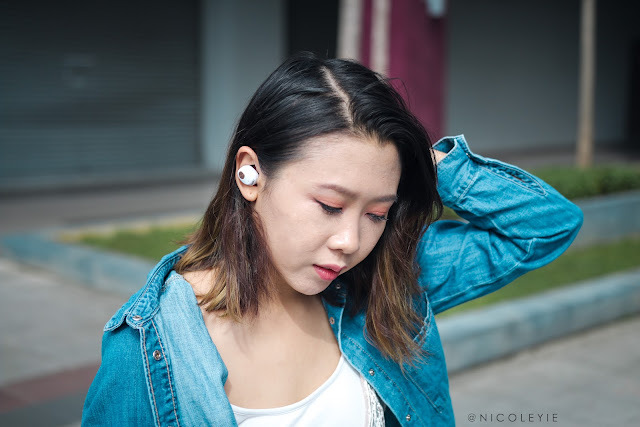 To all my trendy ladies who loves fashion and beauty, if you still haven't heard about Sudio, first, read my previous review on Sudio VASA Earphone, then continue reading this post cause I'm about to show you a very trendy looking wireless earphone - the Sudio NIVÅ Wireless Earphone! 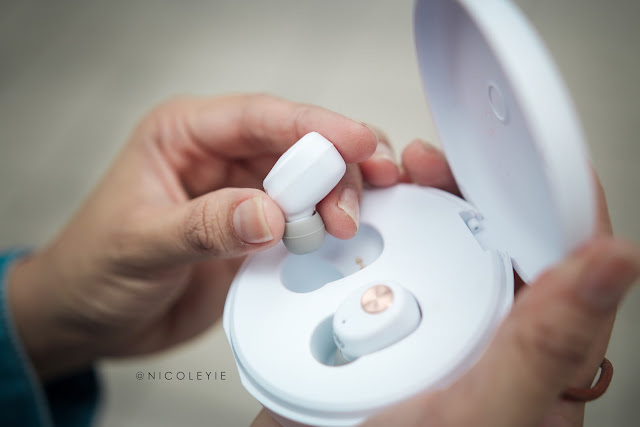 Sudio NIVÅ is Sudio's first-ever truly wireless earphone collection. With its remarkably compact construction and 10m range, Sudio NIVÅ brings you a clear and crisp sound signature to fully immerse you in the music. This true wireless model features Bluetooth 4.2 technology and 3.5 hours of battery life, all without overlooking Sudio’s distinct minimalist style. 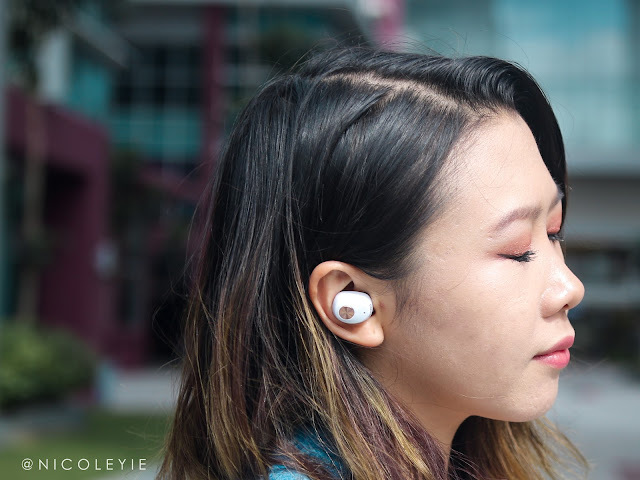 Sudio NIVÅ earphone features 3.5 hours of battery life. Sudio NIVÅ is equipped with a simple yet fashionable portable charging case/box, which doubles as a contemporary design piece that can go anywhere with you that provides an additional 4 charges - bringing total play time to a whopping 17.5 hours of battery life. Red lights when it's charge through the portable charging case. Blue lights when the charging case is charging thru a cable. The back view of the case, it's using micro USB charging port. Furthermore, without overlooking Sudio NIVÅ's distinct minimalist yet elegant Scandinavian / Swedish design and style, it is also a sweat-proof accessory and provided with 3 pairs of different-sized sleeves for most secure fit and comfort for your ears. 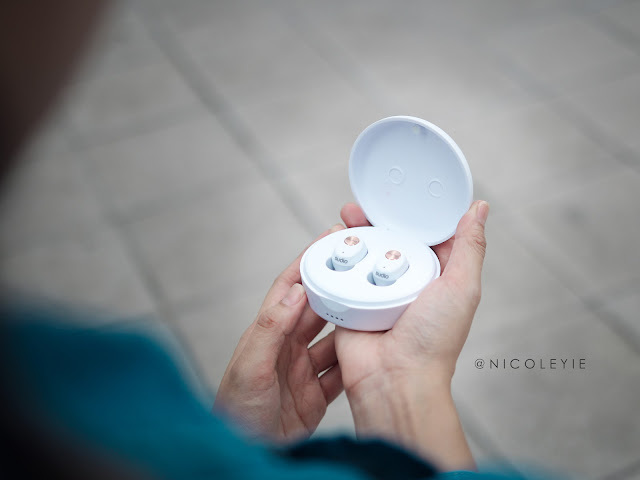 Here are some of my thoughts on this pair of premium earphone. First of all, perfect design. Mad love with the white and gold design as these 2 colours always compliment each other very well! Simple yet classy. 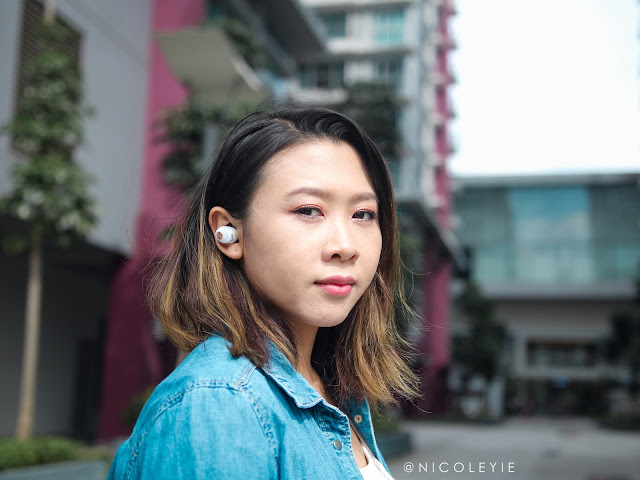 Not sure if this is a common wireless earpiece design out there but this one is super comfortable and stable to wear on a daily basis. When it comes to connecting it to my phone, it's really easy and fast, plus the command given while connecting both pieces of earphone is very clear. The built-in charging port in carrying case is actually brilliant! But could have done better with carrying case for the price. The plastic felt kind of hollow and light. Kinda afraid that it might not be able to sustain fall and might crack easily. If Sudio you are reading this, my advise is to try using soft touch material on the next gen! But it only has mediocre bass performance, very flat bass, no depth (bass doesn't go deep enough). And the non vocal EDM music sounded dull and flat. As a person who doesn't ask too much about the music quality that an earphone could provide, this is actually a perfect earphone for me, especially when I need it to do some dance practice! It basically has what I need - able to provide me bass and clear sound, and that's all. I would especially recommend this earphone to my female friends who loves minimalist and fashionable items! Good news to my readers especially those who loves minimalist designs! 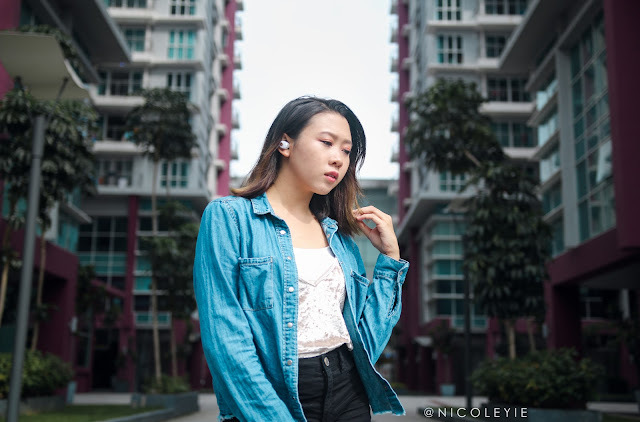 Enjoy 15% discount on your purchase at www.sudio.com/my with my code NICOLEYIE2018! Besides, SUDIO Sweden is also having an exclusive promotion now that they are giving FREE Pack of 4 Swedish Design Coasters and FREE Delivery to Malaysia! This is really so superb fashion the red color earphones for this new technology i feel this will be suit for all types of attire i just wanna get those now! Thanks for the post! this is so beautiful! i need to get it for myself!